Back in August 1989 Qantas took delivery of it's first Boeing 747-400, 'VH-OJA'. It was to be the first of 31 of the -400 series jumbo jets that Qantas would operate. But this was no ordinary delivery flight, it was a world record attempt, the first flight ever to fly London to Sydney non stop, and the longest ever flight on record. A record that still stands today. Now, 25 years later and after 13833 career flights, VH-OJA ' City of Canberra ' is making it's final journey, and probably the shortest flight it has ever made too. Sydney to Illawarra Regional Airport (Wollongong), where it will be put on permanent display at HARS. It's all happening this Sunday the 8th of March and I'm going to head down there to see it. This particular Boeing 747 had it's first passenger carrying international flight on the 7th of September 1989 from Sydney to Auckland, and it's last was just 6 weeks ago, Johannesburg to Sydney on the 14th of January this year. Qantas is retiring the majority of it's 747 fleet, with only 12 left currently and just 9 that will remain in the fleet past 2016. The last of the Qantas Boeing 747's to be delivered was a -400ER series in 2003. All of the remaining aircraft that will stay past 2016 have been reconfigured to A380 standard in the interior, thereby offering a consistent long haul product. I was lucky enough to get to attend a briefing regarding the details on the behind the scenes preparation for that flight today. The Captain, Greg Matthews will take VH-OJA on a 15 minute flight leaving Sydney at around 7.30am. He will be assisted by three other crew members, First Officer Peter Hagley, Second Officer Michael East (who learnt to fly at the Illawarra regional airport and last flew there in a 4 seater!) 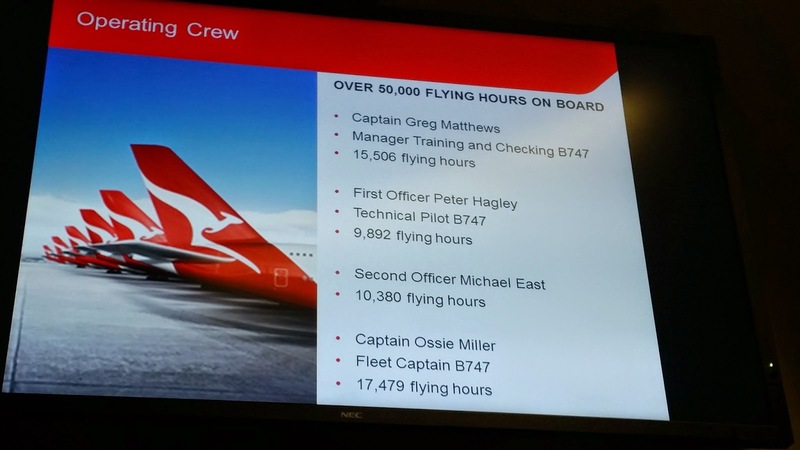 and Captain Ossie Miller (Qantas 747 fleet captain). 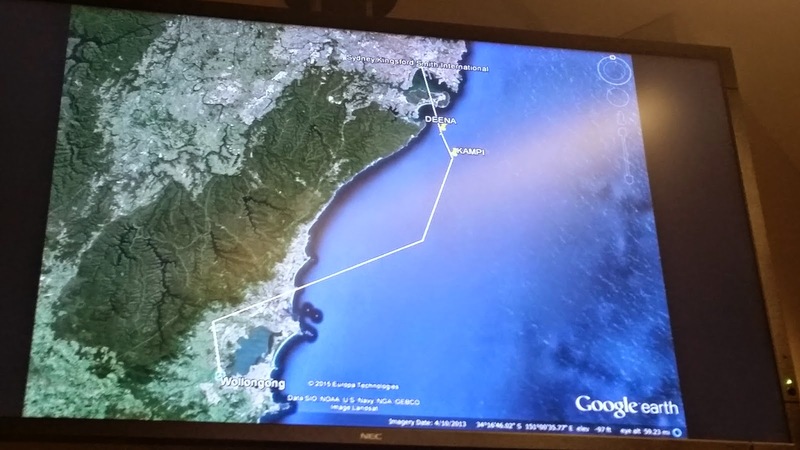 The flight will be carrying 20,000 kg of jet fuel and fly out to sea at 4000 ft before turning inland and flying north of the city of Wollongong and landing on the 1800m runway 16 at Illawarra. If all goes according to plan the flight which they are calling QF7474 should land at the very appropriate time of 07.47am. A lot of time and preparation have gone into this flight. It has required approval from CASA who have created a special restricted airspace zone for exclusive use of VH-OJA. CASA officials have observed from the simulator and given their one off approval for the flight too. The airport will be completely closed to traffic for a couple of hours around the landing. Even Boeing has had input, giving advice and approval on the tyre pressures to be used so as to minimise the impact on the runway. For those who are interested the psi being used is 120psi, rather than the usual 208psi. The aircraft has had a special Permaguard application on it's exterior, to preserve the livery in the harsh sun for many years to come. It has also been cleaned on the inside so it's almost looking brand new again. 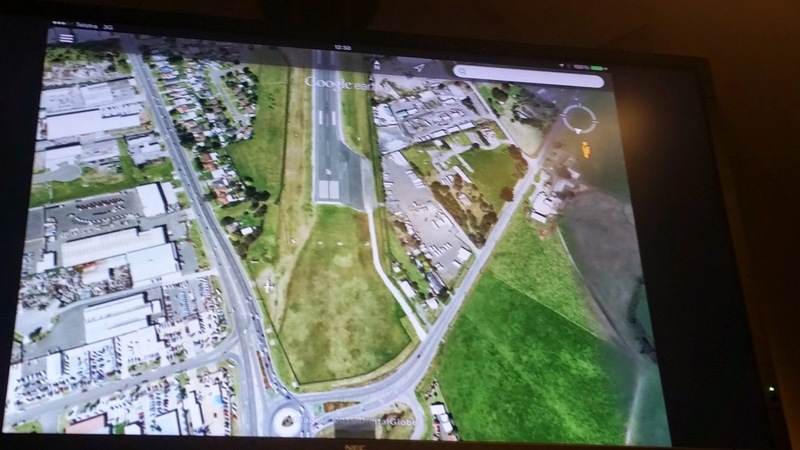 The Shellharbour Council have given a one off approval for the flight to operate as the aircraft normally would be too heavy to be approved for use on the pavements at the airport. A special 'Tuff Track matting' surface will be laid on taxiway 'D' at the airport in order for the aircraft to be towed into its permanent display position. It is important that there is good weather for the approach, the crew need to make a visual landing from the north, so minimal cloud and favourable winds are essential. Based on the current forecasts, things are looking good! Even so, there is a special Meteorological Observer that will be based at the airport especially for this flight and in communication with the crew as they prepare to land. The pilots with 50,000 hours experience between them have spent in excess of 25 hours practicing in the simulator for the unusual approach. This will be the first time an aircraft of this size has visited this airport. The runway is quite a bit shorter than what the pilots would be used too, and it's quite a lot narrower too at only 30 metres wide compared to the usual 45 metres. However rest assured, it is quite within the capabilities of a near empty Boeing 747-400, in fact the runway is long enough that the crew can rely on braking alone and avoid the use of reverse thrust altogether. This will also minimise 'foreign object damage' to the engines, cause by flicking up rocks and other debris from beside the runway, as the outer engines will not be over the paved surface. Since the aircraft is near empty, a fairly low approach speed of 132kts IAS will be used, making the landing quite safe for the distance available. Once the aircraft comes to a stop at the end of the runway it will be towed backwards to the taxiway and into position. It's worth mentioning that 3 out of the 4 engines are going to be removed from the aircraft on the ground, and returned to Sydney via road transport. 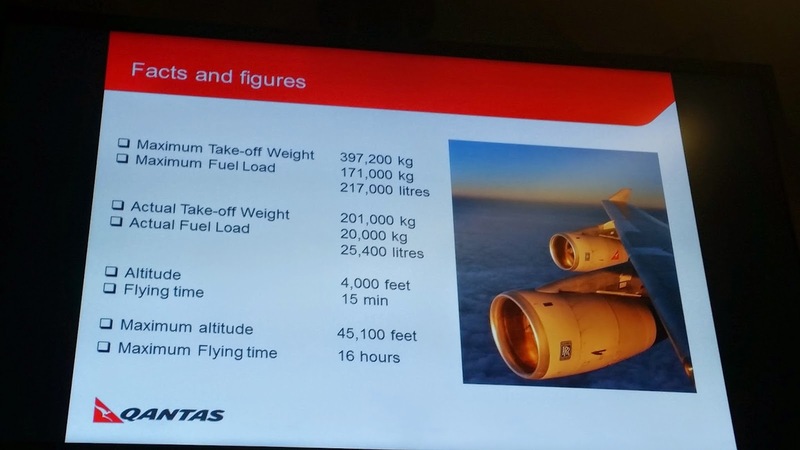 These 3 engines are worth millions of dollars and are still perfectly usable and relatively low in hours so Qantas will use them on the existing fleet. Once Qantas has some older engines that are ready for retirement they will re-attach those to 'OJA' in the future at Wollongong, so that they can be displayed once more. When OJA reaches it's destination the aircraft will be handed over to HARS (Historical Aircraft Restoration Society) and put on permanent public display. This will be the second Qantas jumbo being preserved, the first being a Boeing 747-200 which is on display in Longreach, Queensland at the Qantas founders museum. HARS have a team of 450 volunteers, many of whom are former Qantas employees, so I am sure OJA will be loved and kept in a pristine condition for many years to come. So that's it for this post, the 'preflight preparations' are made and now we wait for Sunday morning, I am going to be one of I expect hundreds of people that are out to see the aircraft arrive. I will give another report on that this coming Sunday! Correct me if im wrong. But i thought the record was broken in 2005 for worlds longest flight when a boeing 777-200LR did just over 22 hours non stop. I'm going to have to check on this - there was mention that one of the records at least still stands, perhaps it is not the endurance record, but it is something else. Can anyone else remember what was said at the briefing? Thanks for the overview! I wasn't able to make the briefing on Thu but will be coming in from Brisbane for the flight Sunday morning. Hopefully will catch up to say g'day :) Are you on the media bus? hi Jason - no I'm staying the night in Shellharbour so won't be on the media bus, I'll be perched somewhere alongside the runway - not exactly sure where yet though.